Siamese fighting fish /Betta Fish Care. Siamese fighting fish /Beta fish is Very good fish. It is very nice to see and there are many types of colors. Now, this fish is very populous. Now everyone wants to keep this fish home. The most common thing is to keep it at home because this fish looks beautiful from other fish. And keeping this fish is very easy. Let's see why this fish has become more poppy than other fish. The first reason that it can be said is that this fish is available in different colors. Along with the color, the shape of this fish is of many types. Among them, "Clowntail" and "Moontail"
One of these fish is particularly special, that the boy and girl are two different looking fish. The boy's body color and the fin, both of which are colorful and large. The girl's body color and the fin, both are not good. Siamese fighting fish /Betta Fish Care. "Details". Bi-colour – The fins must be a different color to the body to be a Bi-colour. Piebald – pale flesh-colored face irrespective of the body color. Pastel – A light shade of color seen only on the fins, the body remains a flesh hue. Koi - Koi are judged from the top down and look like their goldfish counterparts. Patterns should be uniform with clean color defining lines. 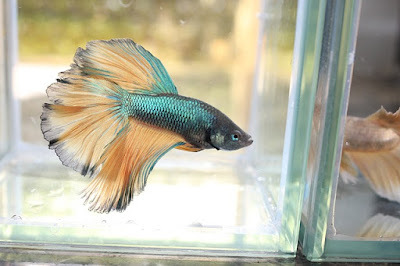 Veil tail - extended finnage length and non-symmetrical tail; caudal fin rays usually only split once; the most common tail type seen in pet stores. Bettas have several different tail shapes - the most common being the "veil tail." Other tail shapes include the "half-moon," "double tail," "short-finned fighting-style tail" and "crown tail." Betta fishs normally live 2 - 3 years, but there have been a few cases of bettas living well into their teens. 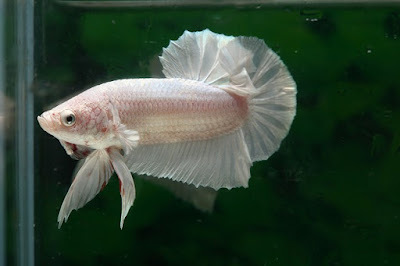 The betta is known as "plakad" in its native Thailand and has often been referred to as "The Jewel of the Orient." This species is native to the Mekong basin of Thailand, Laos, Cambodia, Vietnam and mostly found at Chao Phraya river in Thailand. The fish can be found in standing waters of canals, rice paddies, and floodplains. How to care a betta fish. Do Betta Fish Need a Filter? Even though bettas come from still waters, you must use a filter. A filter will help keep your tank clean and reduce the number of harmful bacteria which can lead to disease. Betta’s long, flowing fins make it difficult for them to swim in strong currents. So you’ll need to purchase a ‘gentle’ filter. Check to see if your chosen aquarium comes with a filter. If not, purchase on that’s suitable for your tank. Look for a filter with adjustable flow settings. This way you’ll be sure you can create the optimal currents. If you are planning on feeding your Betta fish just generic fish flakes, think again! 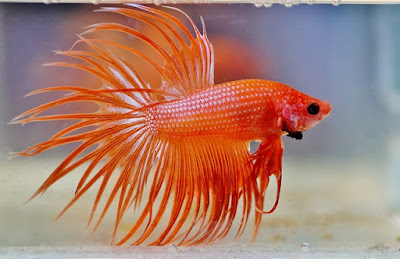 Betta fish are carnivores by nature and require either a Betta specific pellet or frozen treats such as brine shrimp and blood worms. In their natural habitat, the primary diet of these type of fish would be small insects, their eggs, and mosquito larvae that form at the water surface. Whilst offering your Betta fish a diet of live food can be exciting to watch, and a treat for them, it’s generally recommended to stick to frozen foods, since the risk of a parasite breakout with live food is not worth it. If you are an advanced fish keeper, then do what you must, but we wouldn’t recommend live food for absolute beginners. Betta fish live in slow stream fresh waters with moderately warm temperature. The origin of theirs belongs to rice paddy fields in South Asia. They can be found in the natural habitat thriving in steady ponds, rice paddy fields, stranded water streams, and dark shallow lakes. Betta is a tropical fish and requires a minimum 75 degrees Fahrenheit temperature to live well. An aquarium heater is compulsory for a Betta fish tank where atmospheric temperature varies a lot from day to night. 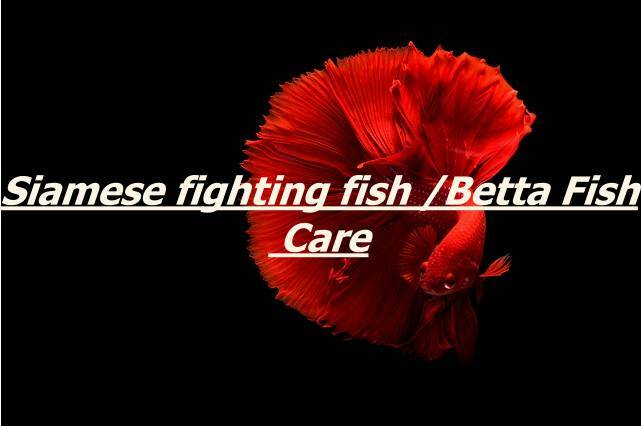 Siamese fighting fish /Betta Fish Care. Why do betta fish fight with other bettas? Betta fish are naturally territorial and will almost always show aggression when they encounter other males in the wild. In the canals and rice paddies of their native habitats in Laos, Cambodia, and Vietnam, less dominant bettas have plenty of places to flee and hide, so fighting isn’t always necessary. But a fight between two dominant bettas can be vicious and to some during the 19th century, entertaining. Betta fighting became a popular sport, so much so that villagers in these areas began breeding the fish to be more aggressive. This genetic aggression is believed to exist in bettas today. 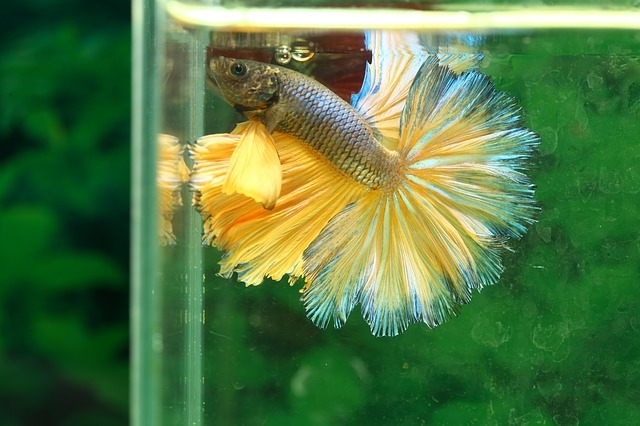 Betta attacks can cause severe injury, infection and even death, so keeping males separate is crucial to their well-being. Females are more interactive in a community tank.
. Harlequin Rasboras. Loaches. Ghost Shrimp. Zebra Snails. Bristlenose Plecos. Neon Tetras. Ember Tetras. African Dwarf Frogs.White Cloud Mountain Minnows. Clown Pleco. Pygmy Corydoras catfish.